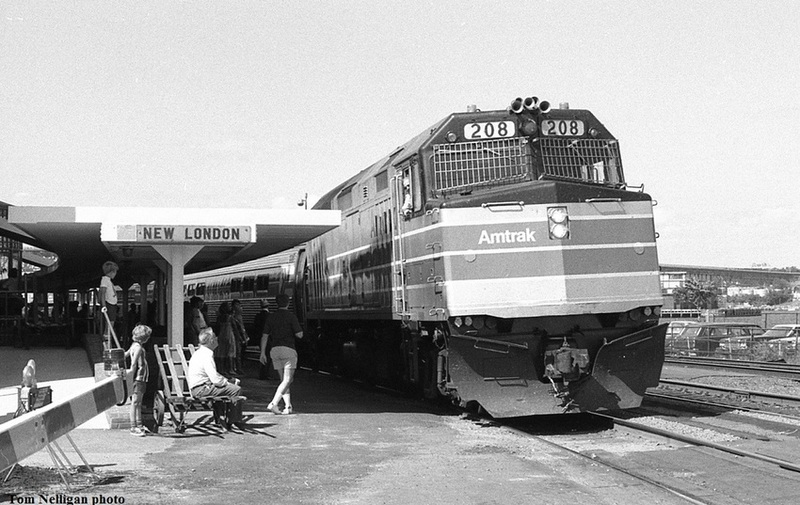 Four-month-old Amtrak F40 208 and its Washington-bound train pause at New London station on a fine summer afternoon. Photographed by Tom Nelligan, August, 1976. Added to the photo archive by Tom Nelligan, April 16, 2018.